Sweet from outside but wild from inside! 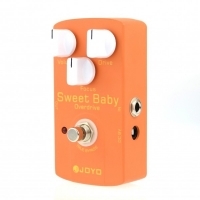 The Joyo JF-36 Sweet Baby is a guitar overdrive effect pedal that is affordable for everyone. Considered as one of Joyo's best effects, this pedal offers you the great overdrive sounds from the '60s and '70s. 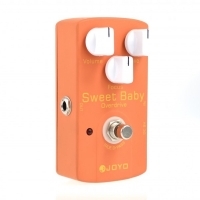 The Joyo Sweet Baby delivers a relatively high output that is not common for overdrive pedals. The true bypass allows you to keep your original signal fully integrated while the gain circuit is turned off. Conclusion: The Joyo Sweet Baby Overdrive is a great sounding transparent overdrive ideal for any type and pocket.